If you are Facebook addicted person and use Facebook on daily basis to connect with the world around you and if you own a Facebook Pages, Facebook Applications or Facebook Profiles than you must know about Facebook Tag Feature which allow users to Create Anchor Based Text Link for Facebook Pages, User Profiles and Applications. In marketing world it’s a best strategy to gain more user traffic through Anchor Text Link, (On Facebook it’s called Facebook Tag). The common practice to Tag or create anchor text of someone on Facebook is by type @ before someone’s name, but by applying this method you can’t edit or change anchor text of that particular link. To Edit or Change the name of Tag or Anchor Text you can use @@[0:[theid:0:LinkName]] this method, and then replace “theID” with the page ID, and “LinkName” with whatever the link will be displayed as. But again this method is quite difficult to remember and also most confusing one, because in this method you have to get the ID of that particular Facebook Pages, User Profiles or Applications which is not a good idea. As we know the technology is moving fast and always there are shortcuts for everything these days. Now there is also a shortcut available to Create or Change Facebook @ Tag Feature or Create Anchor Text Link with Facebook Tagging Tool. 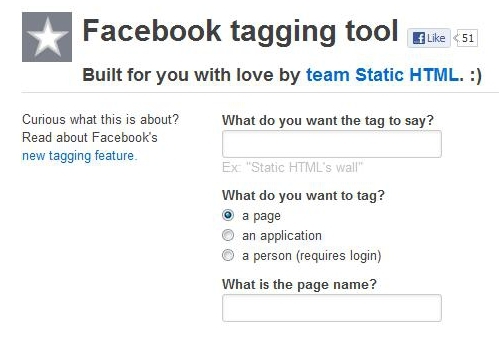 With Facebook Tagging Tool all Facebook users have to do is type the text they want to be displayed with the tag either it’s a page name, user profiles or applications name. 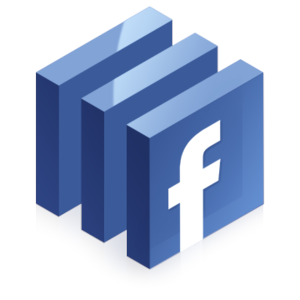 Get Facebook Tagging Tool Now and Start Tagging and Create Anchor Text Link.